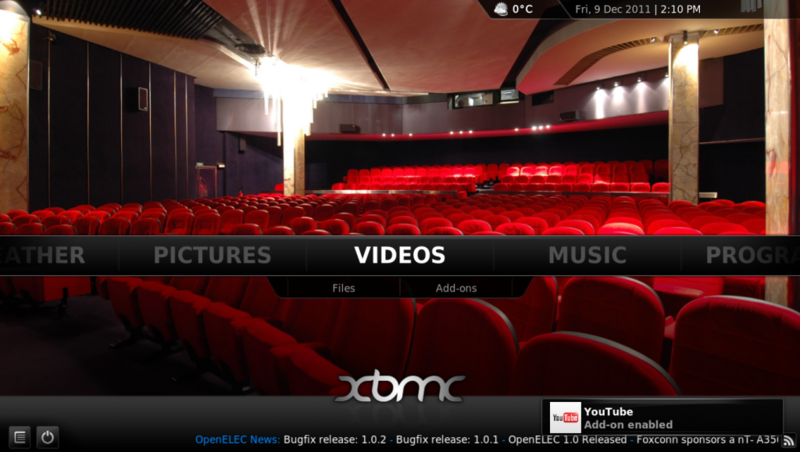 XBMC is the most popular Open Source media player/center application. It runs well on the Raspberry Pi (and even better with some minor tweaks). OpenELEC (short for “Open Embedded Linux Entertainment Center”) is a free and open source embedded operating system providing a complete media center software suite that comes with a pre-configured version of XBMC and third-party add-ons with retro video game console emulators and PVR plugins. OpenELEC is an extremely small, fast booting Linux-based distribution, primarily designed to be booted from a flash memory card (such as CompactFlash or a solid-state drive), similar to that of the XBMC Live distribution, but specifically targeted to a minimum set-top box hardware setup based on an Intel x86 processor and graphics.